Advice from the British Chiropractic Association –Beware of Day Three! Despite common assumptions that a ski injury is most likely to occur on the first day Matthew Bennett, BCA Chiropractor and the first to work with the British Alpine Ski team, comments: “After three days of skiing using unaccustomed muscles, skiers become confident but are physically tired and their capability isn’t necessarily matched to their confidence”. Don’t just sit there – Exercising through squats, sit ups and cycling is also good to tease the right muscles. Jump around – Use a mini trampoline to work all those ‘skiing’ muscles. Roll with it – Roller blading is perfect practice and will help you develop a good ski posture, so you look like a pro on the slopes. Check it out – Most skiers find turning one way easier than the other. Poor technique might not be the problem, so talk to a chiropractor for advice. Liquid lunch – Drink plenty of water and isotonic drinks to avoid dehydration and stay clear of alcohol, tea and coffee. Wrap up – Make sure clothing is warm and adequate for the cold weather and don’t forget hat and gloves. Put the boot in – No matter how many lessons, skiers won’t improve without the right boots and this is where most skiers put their first foot wrong. Skiers often choose on comfort alone – don’t make this mistake. Get a moulded footbed from the ski shop first as this improves fit, comfort and ski control. Opt for a shop with a wide range of boots so you are spoilt for choice. What a bind – If you are prone to going ‘knock-kneed’ when you ski, look out for lateral alignment. Wedges expertly placed under the binding can make a huge difference. Tread carefully – A great deal of people are injured by slipping on ice at the ski resort, not just on the slopes. 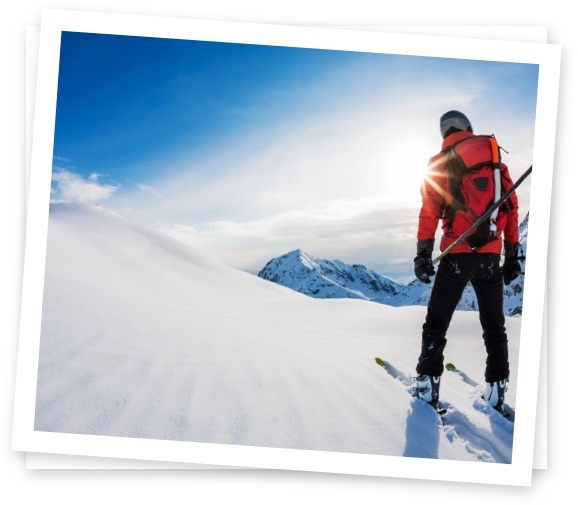 Wear shoes with a deep treaded sole and use strap-on studs for ski boots to help keep you upright. It still holds true that it is always better to take preventive measures in order to reduce the risks of injuries. 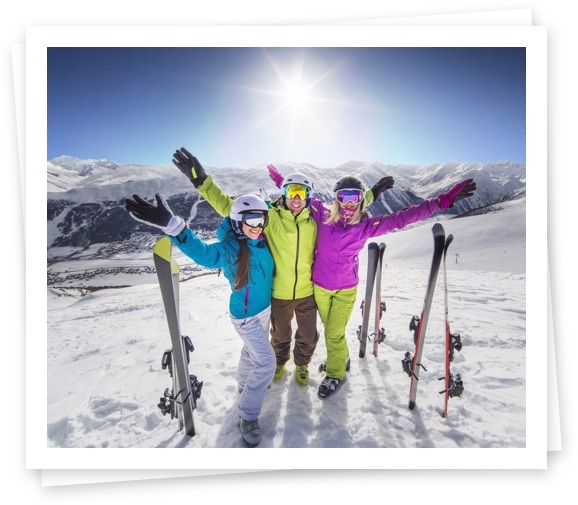 Take note of these guidelines to ensure you keep on the ski safe side this ski season. Matthew adds: “Prevention is still better than cure and these tips can help you avoid injuries because just one joint or muscle out of line can be a disaster when you are travelling at 40 miles per hour on two skis”.